The NSK S-Max M600 Push Button highspeed dental handpiece was developed and tested to deliver the styling and convenience required by busy dental practices. 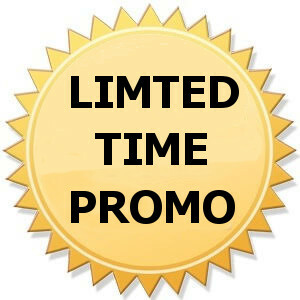 Promotions are subject to change without notice! The S-Max M series dental handpiece air turbines feature unique cutting performance with a slim, ergonomic design body to allow for superior visibility. Developed to meet the needs of dental practices, NSK ‘ISB’ (Integrated Shaft Bearings) reduce vibration and guarantee consistently accurate cutting. For easy maintenance of S-Max M air turbines, cartridges can be replaced easily in your practice helping you to control cost and downtime. S-Max M series has been designed without compromise to pay attention to every detail. S-Max M series air turbines deliver superior cutting performance with a narrow body for ergonomic handling and excellent visibility. The NSK S-Max M600 Push Button highspeed dental handpiece was developed and tested to deliver the styling and convenience required by dental practices. Reduce costs and downtime with cartridges that are easily replaced in the office, without the need for a service call. The replacement cartridge incorporates the spray holes to guarantee cartridge and water spray always work well together. The NSK Clean Head System is a patented design that automatically prevents oral fluids and other contaminants from getting into the handpiece head, lengthening the life of the bearings. With the design of the S-Max M series, you can easily use NSK handpieces without being tied down to a particular unit. This lineup features models that are compatible with couplings of all companies, and can be connected to units currently in use.